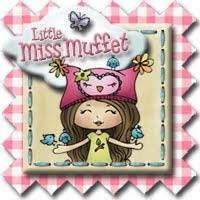 It's time for some more inspiration from Little Miss Muffet Stamps! This Thanksgiving we're going to have a full house for dinner and so I wanted to do place cards for everyone's seat at the table. 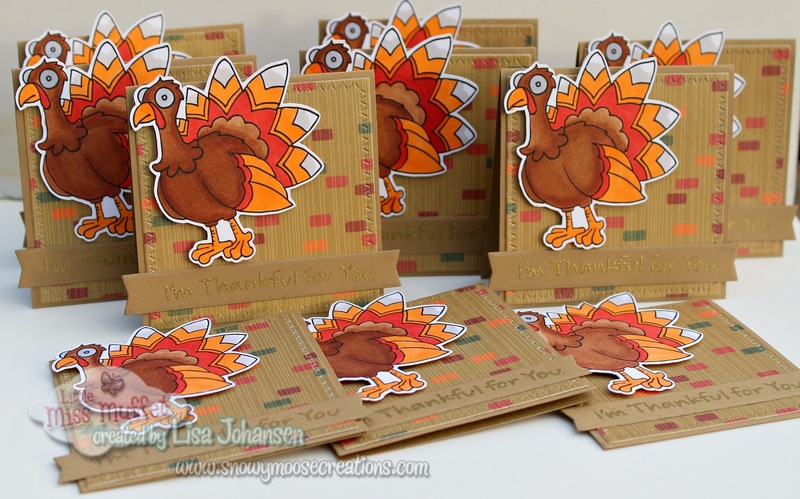 This turkey image called "Hazel's Turkey" from LMMS was the perfect image to use on 3x3 cards. You can find this image HERE. Using Word I created a document with 10 of these turkeys on a sheet of Neenah Solar White. I used my copics to color them in and then I used my Scan N Cut to get them cut all nice and pretty. I like white borders around my edges so I always set my Scan N Cut to create one. The 3x3 card is made from Baked Brown Sugar cardstock (SU retired) and then I layers a square of some older paper I had from S.E.I. 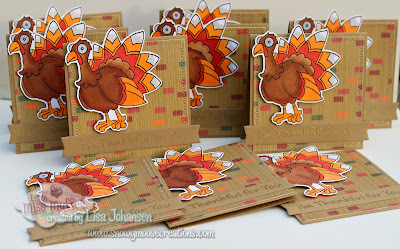 The color of the patterned paper goes perfectly with the colors I used on the turkey image! The sentiment is from MFT and was stamped in Versamark and then heat embossed with gold powder. Thanks for stopping by! If you are on FB make sure and check out the LMMS FB page and don't forget, there is still time to play along with the LMMS Anything Goes Challenge, which can be found HERE. Oh my gosh...these are so stinkin' CUTE!